Many households have chosen to install solar panels to help them reduce their electricity costs – but what happens when the sun goes down? Mr. Hawley decided to take control of his energy needs and has installed the latest Powervault energy storage in his home. Having installed 4kW of PV in 2015, Mr. Hawley had already committed to making the most of his generation by installing a unit to heat hot water from excess generation but he knew that there was still more to do to minimise the amount of electricity he needed to buy. 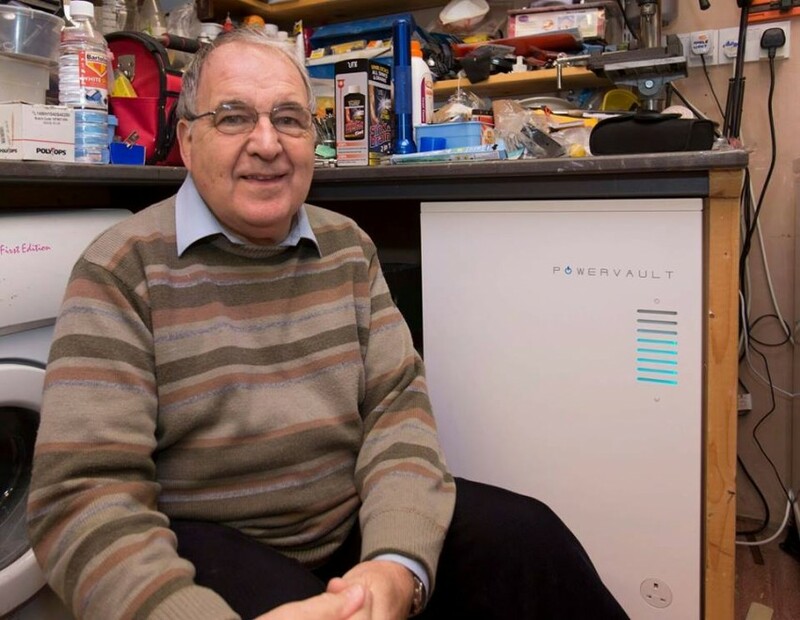 After initial research, Mr. Hawley contacted Green Acorn, a UK distributor for Powervault who provides independent advice and guidance on domestic energy storage products. They worked together and after reviewing the household energy use and PV generation, the Powervault Lithium Ion 6kWh was selected as the best fit for the requirements. The Powervault range offers great value when compared with similar products, they are manufactured and supplied from their UK base in south east England and can be installed quickly and easily in homes and businesses. For Mr. Hawley, the benefits are clear, the Powervault lowers his electricity bills by enabling more of his free solar energy to be used. Further saving are available for customers with off-peak electricity tariffsby also storing cheap electricity from the grid.